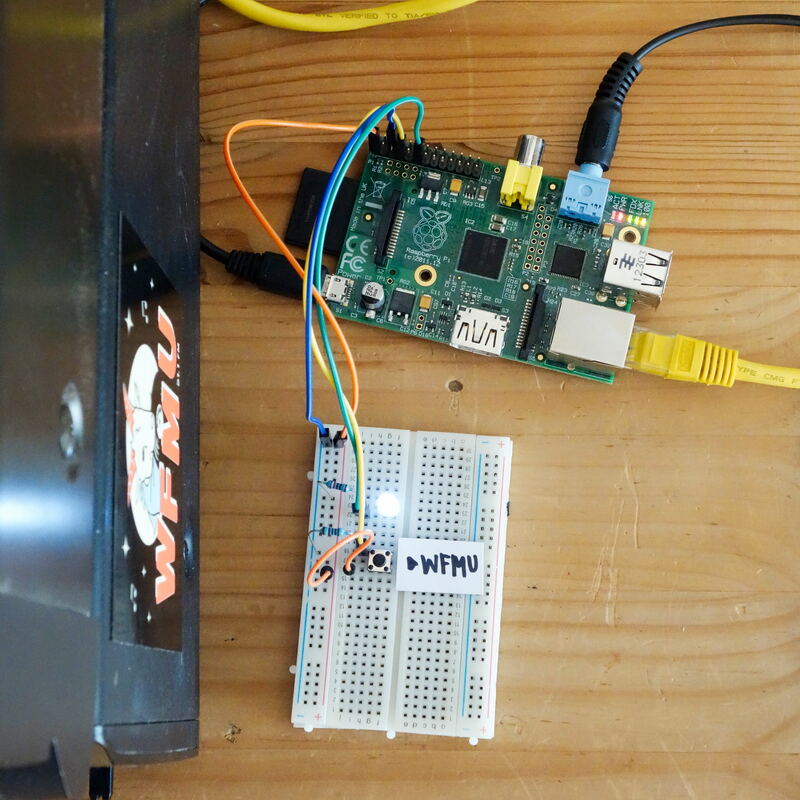 I use my Raspberry Pi to listen to the radio (all day, every day). After trying something complicated for a while, I settled on a lightweight combo of ssh, a screen session and mplayer. Which started to annoy me. And I was in the mood to procrastinate so I spend half a day making this project, putting the GPIO to good use! 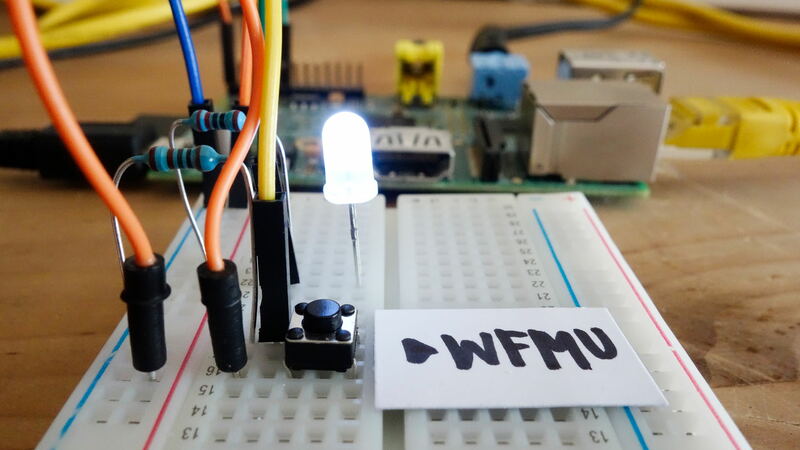 Push that button to start playing the WFMU stream! Read and fork the code on github! I run this on an ancient Raspbian, Python 2.7 w/ RPi.GPIO, ancient mplayer. Started out as a 5-sloc bash script, grew into 100 lines of python. Uses a pretty dumb polling loop, which detects keypresses once a second to save, like, a milliwatt. Using GPIO events would be wiser. This old Raspi needs (?) root privileges for GPIO access, so there’s some juggling to run mplayer with user rights only.